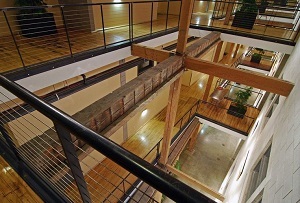 The 801 Washington Lofts are home to some of the most sought after Minneapolis condo buildings. The lofts were built by developer Chuck Leer, who also refurbished the Tower Lofts on Washington Ave. The building is one of Minneapolis's most historic buildings. It was converted into 61 unique loft condo spaces in the North Loop in 2003, making it one of the first true New York style residential split lofts in the area. Conveniently located on Washington Ave, the 801 Washington Avenue condos are just across the street from some of the best restaurants in Minneapolis and sits right on the Mpls bus line. The top floor of the building is part of the 3rd floor units, with some of the tallest ceiling heights you will find in the city. This extra story also allows 3rd floor condo owners to have their own private rooftop decks, many of which have great views of the Minneapolis skyline. 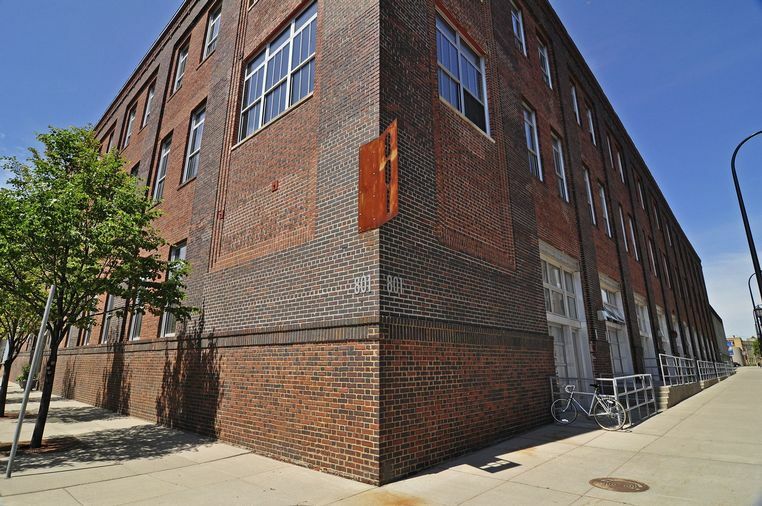 Scroll down to see all 801 Washington Lofts for sale in Minneapolis or learn more about the building features and amenities that make this such a desirable building. 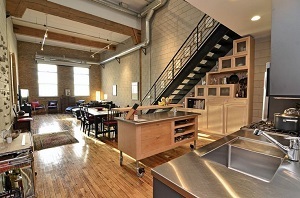 Looking to live at the 801 Washington Lofts Minneapolis but not finding what you are looking for? Inquire about our 'off MLS' Minneapolis Condo and Loft pocket listings. The 801 Washington Lofts are a combination of live/work lofts on the 1st floor of the building, and true New York style split level lofts on the 2nd and 3rd floors of the building. Although the building has 3 levels of condos for sale, the structure is in reality 4 stories tall. Units range in size from 1,029-3,291 square feet , and are multi-use withe garage style doors on the ground floor that make an ideal commercial space. A private courtyard on the ground floor is another highlight, adorned with beautiful sculptures and gardens. The bedrooms at 801 Washington Lofts do not have walls. Rooms are often sectioned off with screens, and room dividers. Being in the hear of the Warehouse District, homeowners can expect to find a good chunk of the city's art community. Small galleries, and studios can be found a few steps from 801 Washington Lofts. The are is also home to the Fulton Brewery, whose tap room and brewery tours are popular with locals and tourists alike. Other notable attractions include Acme Comedy, Lab Theater, Target Field and Boom Island. Parks: Sumner Field, North Loop Dog Park, Boom Island, Bethune Park, and Nicollet Island. Restaurants: Clubhouse Jager, Black Sheep Pizza, Be'witched, Borough, C McGee's Deli, Smack Shack, Corner Coffee, Bunker's Music Bar & Grill, Fulton Brewery and Sticks. Shopping: 5th Ave Market, Nordstrom, Runds Market, North Loop Wine and Spirits. 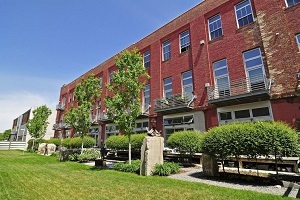 Do you own a condo in the 801 Washington Lofts condos and happen to be thinking about selling? Let me assess your condos value and get you a price quote. Fill out my condo sellers form and our team of Minneapolis condo experts at Downtown Resource Group will get back to you with more information on the recent sales activity in your building as well as provide you a marketing plan and general market assessment.